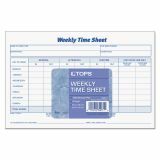 TOPS Weekly Time Sheets, 5 1/2 x 8 1/2, 50/Pad, 2/Pack - Complete weekly time sheets make payroll easier. 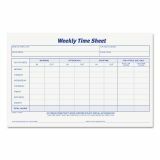 When completed by employee, time sheet provides all the information needed for payroll preparation. 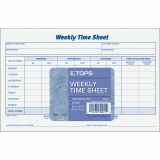 Includes columns for day of week, morning, afternoon and overtime in and out times, regular and overtime totals, and signature line to authorize overtime. Printed in blue ink on white bond. 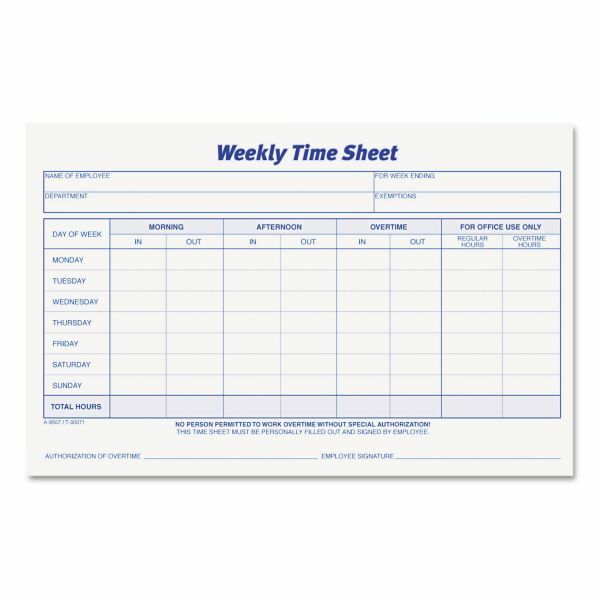 100 sheets per pad.